How Highway 100 became known as Lilac Way. 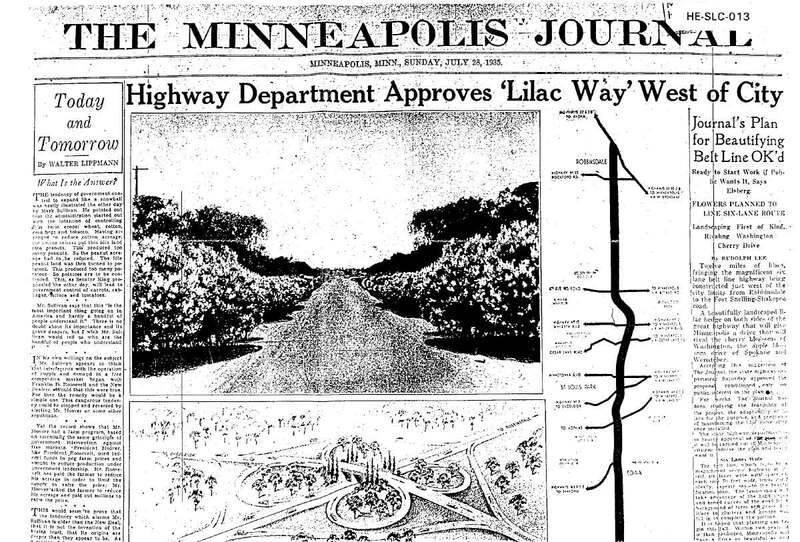 Inspired by Washington, D.C.’s cherry blossoms, in 1935 the Minneapolis Journal (now the StarTribune) proposed planting lilacs along the new Highway 100. Officials representing 50,000+ enthusiastic citizens in 40 civic and business groups urged the MN Highway Department to approve the plan. And now it’s part of history. The landscaping on Lilac Way was an exception to the rule. Extraordinary in scope, it included more than 8,000 bushes of 12 varieties of lilacs—2,487 Persian lilacs, and 5,408 common lilacs—and thousands of other vines and trees. The total number of deciduous plants called for in the plan came to 23,505. In 1939, the Golden Valley Garden Club helped to beautify the new WPA-built Highway 100 with miles of lilacs. Selling lilac bushes for 15 cents each, they raised money to plant lilacs. All those lilacs and shrubs were planted by the landscape department of the Highway Department (now MnDOT), with help from President Franklin D. Roosevelt’s Works Progress Administration (WPA) during the Great Depression. 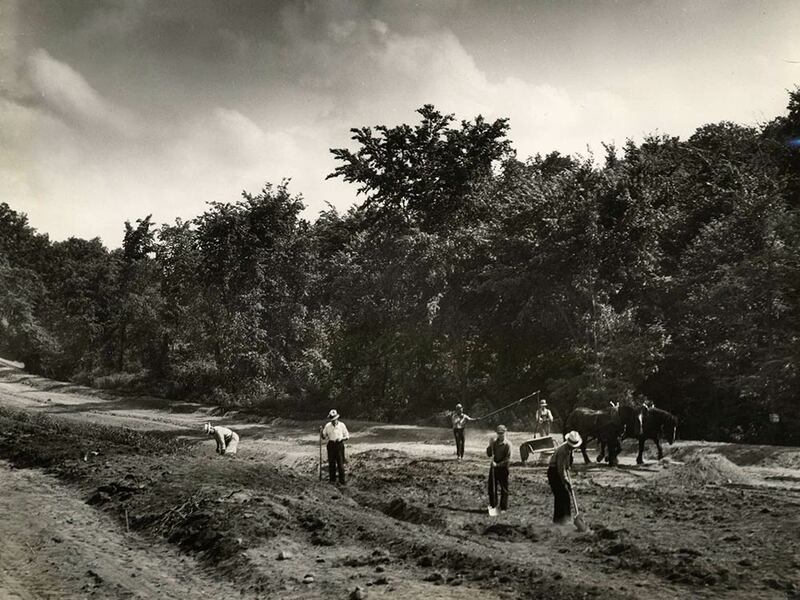 The WPA hired unemployed men to build Highway 100 and plant lilacs. Given new work clothes, they got to work one 40-hour week each month, for 55 cents an hour. Knowing how important jobs were, Arthur Nichols, Lilac Way’s Landscape Architect, kept WPA workers busy planting lilacs when not working on the highway. With thousands of lilacs lining 12.5 miles of Highway 100, Lilac Way became history.